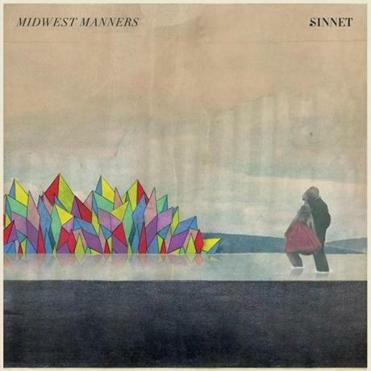 This EP (a humble thing to call the seven expansive songs of “Midwest Manners’’) finds local trio Sinnet ripping their way through a very studious, carefully arranged, and sometimes cathartic slew of twangy indie-pop. This crew operates on solid melodies cribbed from ’90s alt-rock, including nods to the stubbornly introverted (plenty of Elliott Smith influence here) and the perfectly commercial (opener “Paper Chandeliers’’ even brings to mind the days of Fastball and Wallflowers). Either way, Sinnet has plenty of tricks up its sleeve. Chilly electric pianos glide past overlapping chords in the lilting “Everything Went Pear Shaped’’ and the thunderous, dirging “Playing the Skeleton Keys.’’ In all, “Manners’’ brings to mind the dusty, stoic Midwest of Steinbeck and “The Last Picture Show,’’ the latter reinforced by the album’s kicker of a cover tune - an echoing, empty soda shop rendition of “Be My Baby.’’ Now and then, strained emo vocal inflections sneak in as reminders of a contemporary scene littered with glossier versions of the stuff (like Dawes). It’ll be great to see how much farther off the beaten track Sinnet can stray. Sinnet plays a record release show tomorrow at the Middle East Upstairs with Soft Pyramids, Diamond Mines, and One Happy Island.